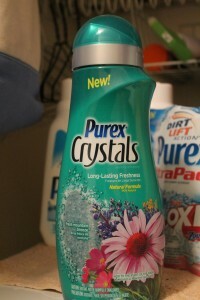 Purex recently provided me with a bottle of their NEW Purex Crystals Fresh Mountain Breeze to try in the laundry. 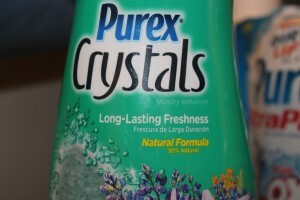 Purex Crystals is a unique fabric softener that makes your clothes smell fresh for weeks, does not reduce the absorbency of towels and, my favorite, is a natural formula that is safe for you family and the environment. 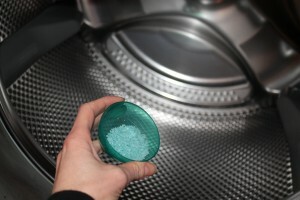 Want to try it for FREE? You have TWO chances to win! 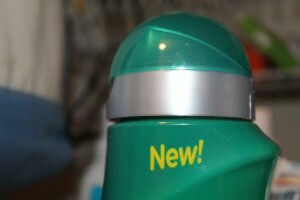 Enter my contest HERE for a chance to win a coupon for a free bottle! Two winners will be selected on 2/15 so enter today! 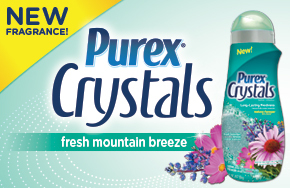 To celebrate the release of new Purex Crystals Fresh Mountain Breeze, Purex is holding their own giveaway. Click here to enter their contest. 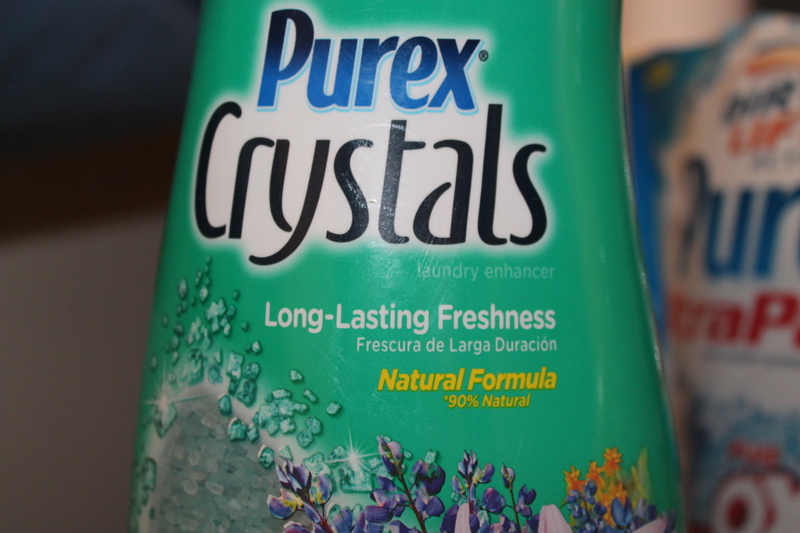 One winner will receive a $500 grand prize and 100 winners will each receive a coupon for a free bottle!